Temple Emanu-El represents the merging of two distinct fledgling congregations. 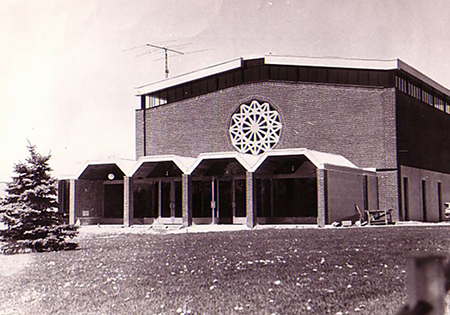 Born out of the suburban growth of the Toronto Jewish Community of the mid-1950’s, the original Congregation of Temple Emanu-El was founded by a handful of like-minded Reform Jews who gathered in the basement of a church on St. Clair Avenue under the spiritual leadership of Rabbi Louis J. Cashdan. Due to rapid growth, the Congregation launched a search for a more spacious and permanent venue. 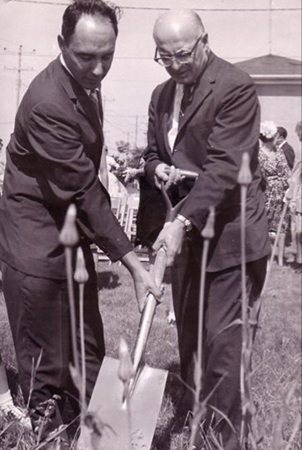 On September 6, 1960, groundbreaking ceremonies were held at 120 Old Colony Road in what is now the City of North York and we have been here ever since. The Temple is situated on a 6 1/2-acre site with beautiful landscaping. The first religious services were held in June 1963, at which time the cornerstone was laid. The west wing of the Temple was constructed in 1964 and dedicated to the memory of Mel Orenstein. The east wing, which includes the Social Hall, Library, Reading Room and classroom was a generous gift from the Koffler Family, one of Temple Emanu-El’s founding families. Our cheerful Kiddush Room where we hold daily Morning Minyan Services overlooks the Biblical Garden that changes with the seasons and inspires prayer and meditation. One of the most auspicious events in the history of our Congregation took place in 1969-70. Temple Emanu-El and Beth-El decided to blend the two Congregations. Over the years this match has proven to be made in heaven. 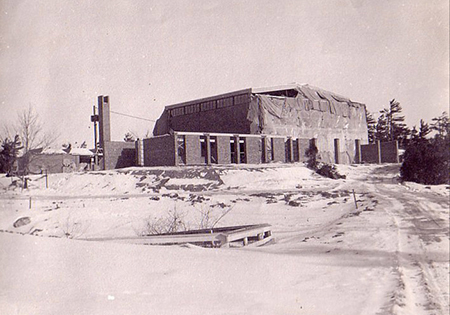 Over 25 years ago, we proudly housed the Leo Baeck Day School from the day of its birth until it outgrew our premises and subsequently moved to its own building in Thornhill, Ontario. Temple Emanu-El is known for its excellence in everything from study and learning to social action and imbuing Jewish values into fact of deed. How appropriate for a Congregation whose name means “God is with us”.